So, the power is in the list, but why? The ‘list,’ as in your email list, is powerful because it is a direct line to your customers, and it’s one you have control over. Unlike a Facebook group, which can be shut down at any change in the algorithms, losing all of your followers and data, an email list can’t disappear via the whimsical decree of a digital behemoth. The majority of digital marketers use email as their primary method for generating leads. Last year, there were over 3 billion daily email users, and by 2021, that number will grow to over 4 billion. Subsequently, relevancy and engagement are incredibly essential elements to embed in your email marketing efforts. According to recent studies, 78% of email users will unsubscribe from email lists because brands send too many emails. And get this: 64% of email recipients will open an email based on who it’s from, versus 47% of recipients who open based on the subject or headline. These statistics indicate that for you to get engaged, qualified leads that will convert into customers from your email list, you need your subscribers to be familiar with your brand and to like and trust you. Email is a highly personalized form of communication. Done wrong, it can be downright intrusive for the recipient. If you send too many emails (or the wrong type of emails) to a lead that isn’t sufficiently warmed up to your brand yet, they will unsubscribe. So, how can you lessen the chance of offending cold leads and having them unsubscribe? 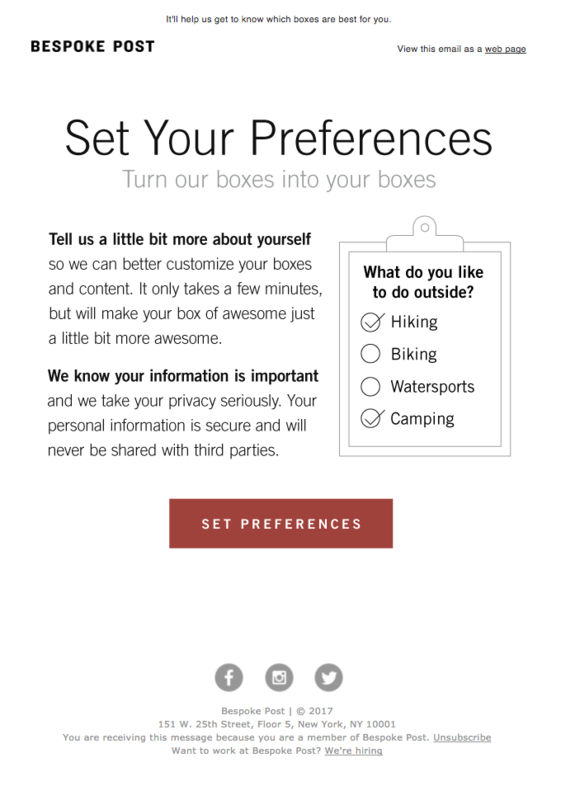 By creating an automated (but personalized and engaging) drip campaign. An email drip campaign is a series of emails that are sent to your email list. The series is automated, and pre-scheduled to go out at certain times to a specific segment of subscribers based on their actions. The goal of the drip campaign is to get a subscriber familiar with your brand. It’s a way to build a relationship with your target customer before asking them for something. Nowadays, consumers have higher expectations for the brands they interact with. You can’t send anything even remotely ‘spammy.’ You have to engage leads with relevant, personalized information that gets them excited. Gone are the days of random, slap-dash email blasts. One tactic you can use to stand out from all of the other 269 billion emails sent every day is by utilizing interactive marketing techniques to start your drip campaign. Interactive content is considered more effective than static content for educating the buyer. This makes it especially attractive at the start of a drip campaign for familiarizing a prospect with your brand, products, and services – it builds trust. Utilizing interactive content for business email campaigns is a relatively new technique, and not many businesses are doing it yet. So now is the time to jump on board and capture that extra engagement before everyone else is doing it. It combines the best of social media and email marketing to form a lead generation machine for your business. Let’s explore how contests, one form of interactive marketing, can be an amazing way to kickstart your automated drip campaign. Starting your drip campaign with a contest is climactic and highly engaging. 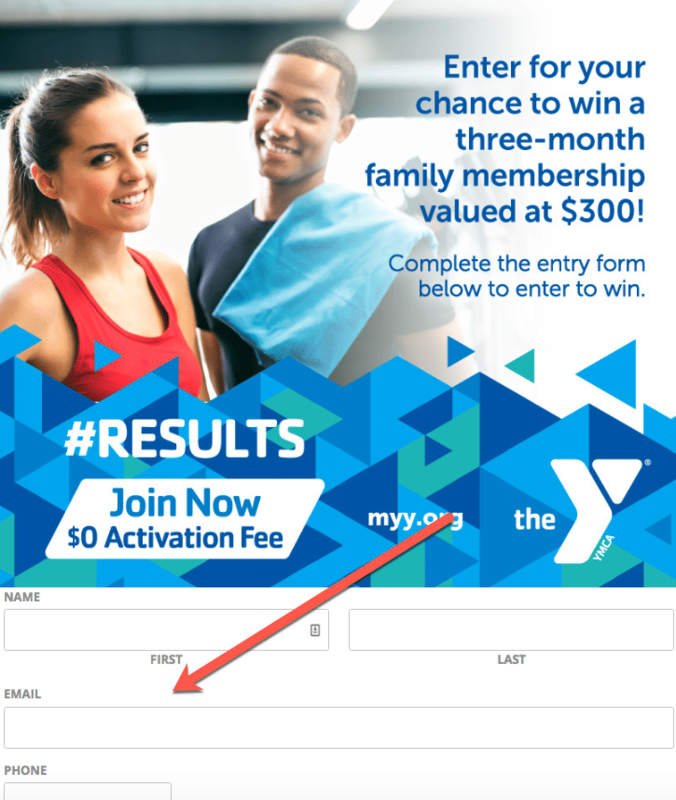 Starting your drip campaign with a contest is climactic and highly engaging. It brings qualified and excited leads to your email list. Furthermore, your contest will help generate recognition for your brand and has the potential to attract thousands of qualified leads onto your email list in a short period of time. Be sure that your contest is highly relevant to your target audience. You don’t want to engage with ‘freebie seekers’ who aren’t qualified leads. Make sure the prize is something that is relevant to your brand, and include targeted qualifying questions so that the leads you collect are valuable to your business. While there are several elements that contribute to a successful contest, the prize is perhaps the most important, because it’s a dominant lead qualifier. However you plan on running your contest, one thing will always be a constant… you are using it as a way to collect email leads and initiate a drip campaign. Once the lead gives you their email address, they enter into your drip campaign. The winner is announced, and the prize is given. Leads who did not win receive a secondary consolation prize through the drip campaign, like a unique coupon code or a free eBook or PDF. The lead continues to familiarize themselves with your brand via the drip campaign, becoming a fan. While it’s easy to get bogged down in the specifics, i.e., where to host the contest, how to promote it, what custom tags you need to apply to your contacts as they enter the sequence etc., this simple overview is a great starting point for running a powerful one-two punch from contest to drip. What makes for a successful drip campaign? Targeted. Make your campaign super-relevant and focused on a core audience group. Visually appealing. Build your campaign with professional design principles in mind. Multi-channel. Don’t just rely on email, combine your drip campaign with social media advertising and banner remarketing. Responsive service. Be on deck to field participant queries, solve issues, and help your prospects get the best possible experience. Gamified. Make your campaign fun, exciting, and embedded with game-like elements that will not only engage participants but also aid in sending it viral on social media. Once you announce your winner, make sure you analyze the results of the contest. Like with any marketing campaign, knowing what worked and what didn’t is crucial for your future success. A contest that funnels leads into a drip campaign will give you a wealth of information on your subscribers that you’ll want to exploit in future marketing campaigns. Find out what social media platforms your subscribers tend to congregate on, and which headlines and content your subscribers are more likely to open when they see an email in their inbox. Perhaps most importantly, you will start to understand what sequences and messaging convert your prospects into customers. When most business owners hear the terms ‘interactive marketing,’ they quickly become overwhelmed by the jargon and fear that coming up with interactive content is a time consuming, burdensome and expensive process. But none of that needs to be true. With the growing number of interactive marketing tools on the market, such as ShortStack, that integrate with your email marketing software and don’t cost an arm and a leg, your excuses for avoiding this powerful marketing technique are fading. Best of all, interactive content and drip campaigns can be designed to be evergreen. With evergreen content, you create it once but are able to use it and reap its rewards over time.